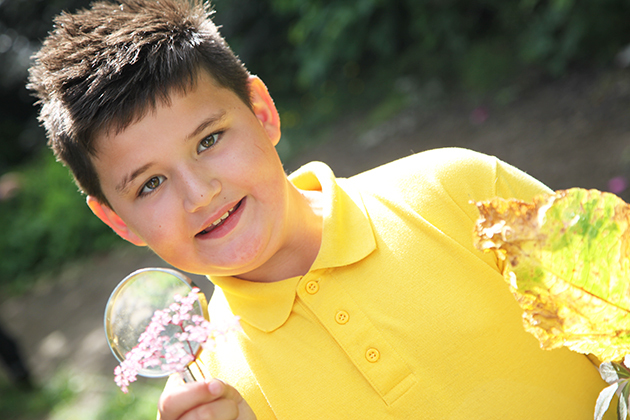 The Year 3 children from George Betts Primary Academy went on a research trip to look at designs and patterns in nature. They are starting work on a project to create a Little Eden at their school in Smethwick where they can grow and cultivate plants, fruits and vegetables all year round. 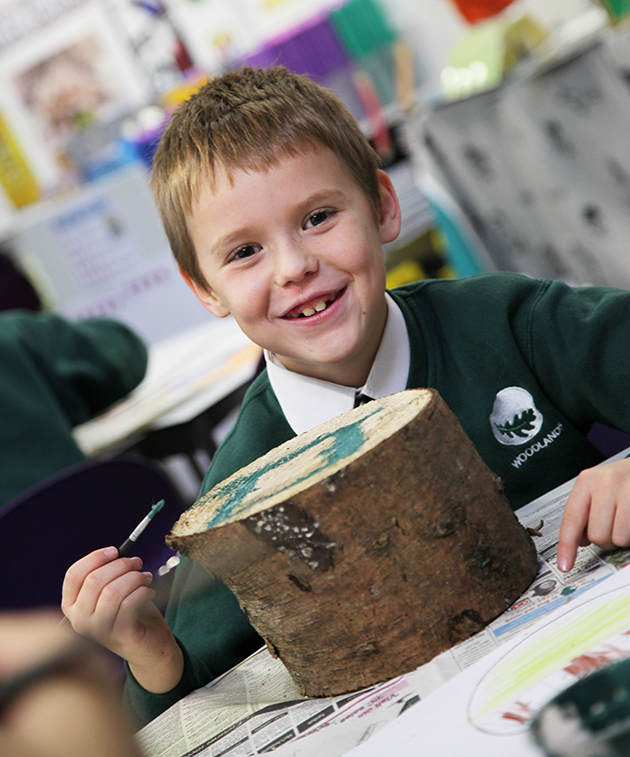 The children will also use their experience of the visit to Lickey Hills Country Park and Martineau Gardens to start shaping their ideas for their very own sculptural installation. 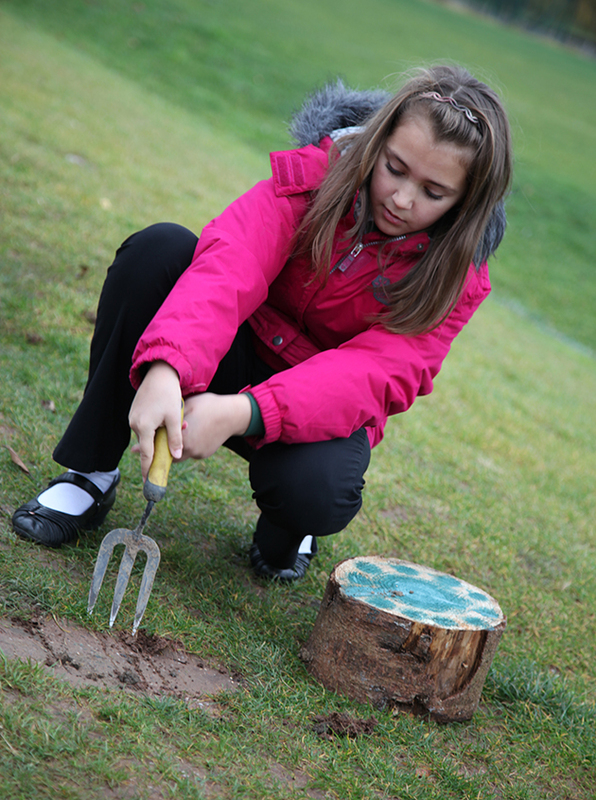 This summer we worked with children and parents from Green Meadow Primary school to create a sculpture garden at the entrance to the school. 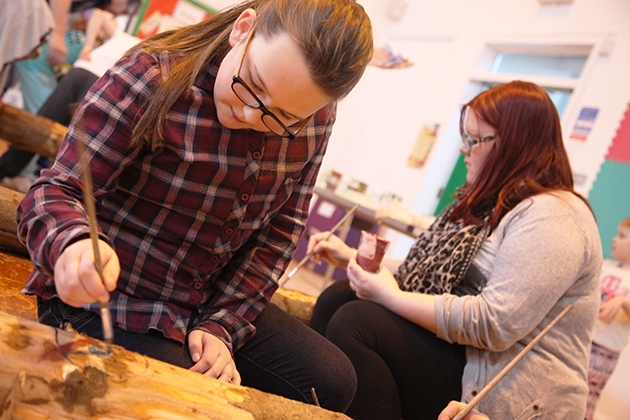 As a group we started the project with a trip to Birmingham MUseum & Art Gallery and Lickey Hills to view a wide range of sculpture displayed in indoor and outdoor locations. 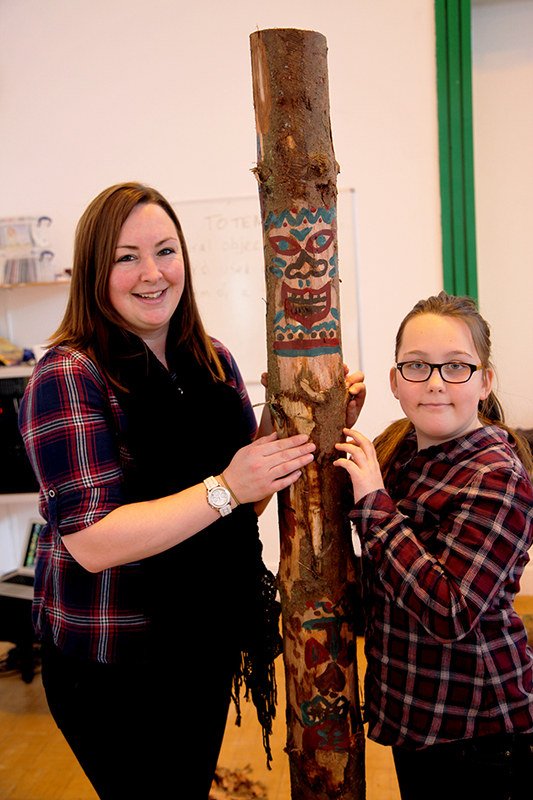 The research trip got creative juices flowing and children and parents were inspired into producing designs for their Totem Garden. ‘Totem’ means family and the designs represented personal family values and the values of the school as a wider learning community. 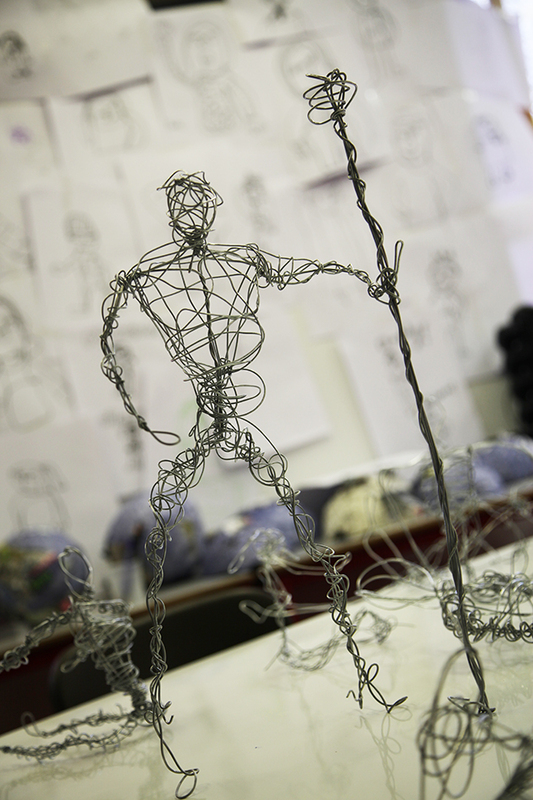 This innovative project enabled parents and children to work together with the support of professional artists and sculptors who facilitated the creative process.Watch the slideshow for a flavour of the project and there is a film being published in September which showcases the project in a wider context. 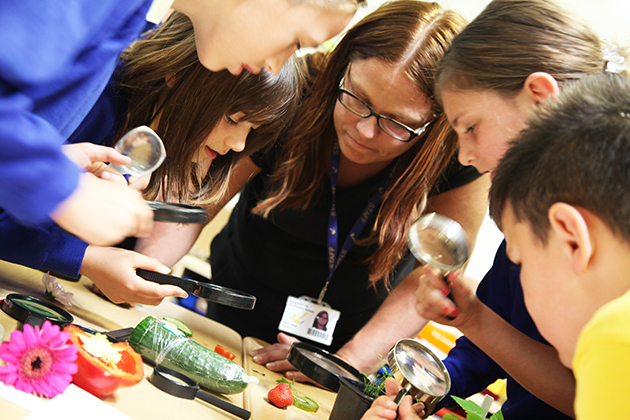 Year 4 children at Kingsland Primary School have been investigating fruit and vegetables this week and where they come from whilst planting produce of their own in the Kingsland Garden. 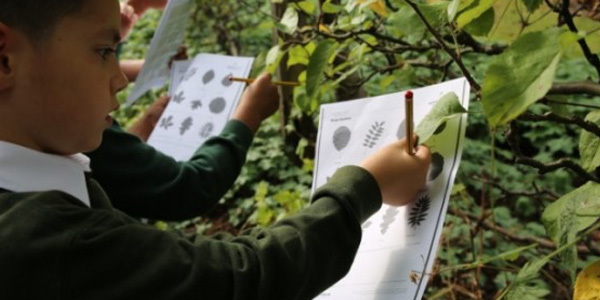 After collecting seeds, leaves and flowers from the playground the children had a closer look using a microscope and magnifying glass as well as making posters and plant diagrams. Our recent Family Art Workshop at Hurst Hill Primary School was inspired by Diane Churchill who creates abstract paintings. 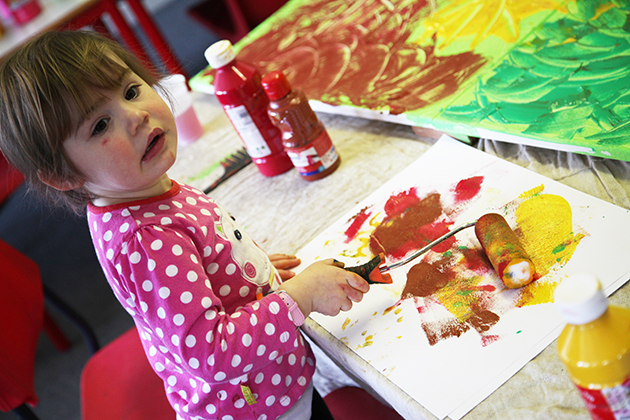 Families enjoyed creating textures and exploring the use of colour. 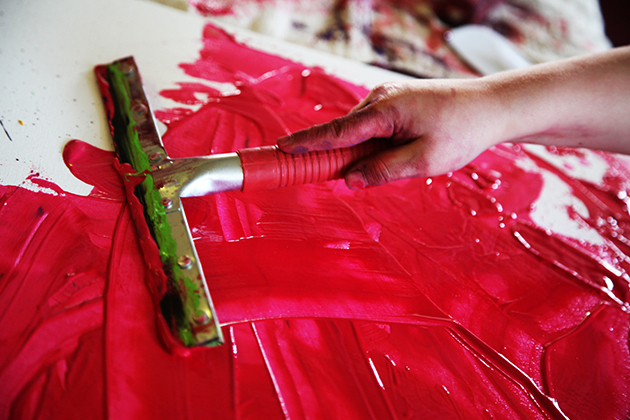 We used rollers, combs, squeegees, palette knives and anything else other than brushes to apply the paint to the canvas. 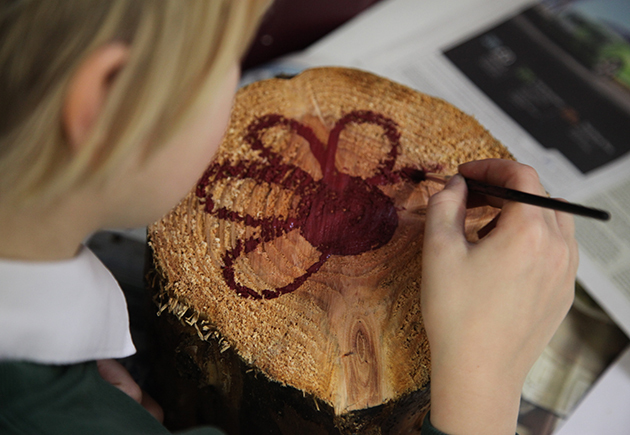 Thank you to everyone who joined us on Saturday and the exhibition will soon be on display in the school. 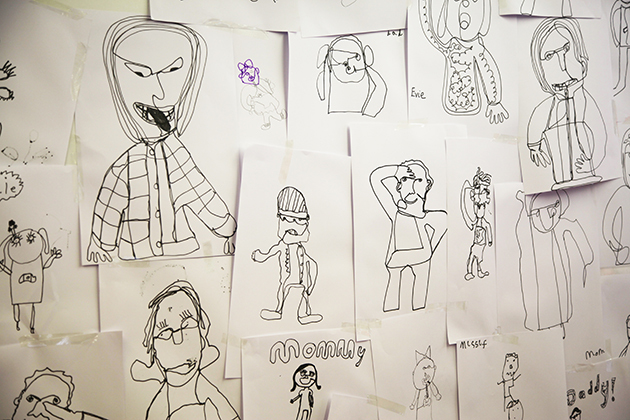 On Saturday we held another Family Art Workshop in partnership with Hurst Hill Primary School which was well attended and we would like to thank everyone who came along. 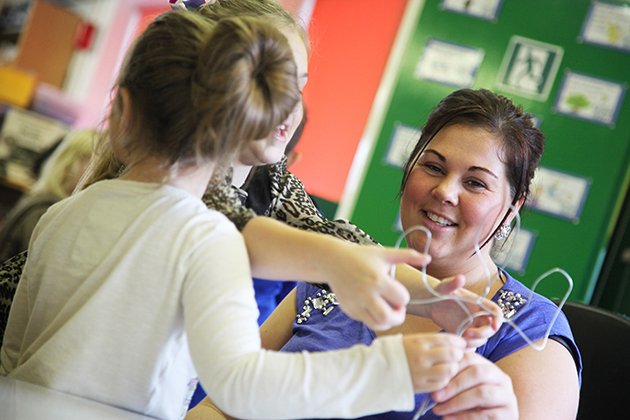 The workshop is part of a series of events held at the school to welcome families into the school to create inspiring artwork with their children for the rest of the school to enjoy. 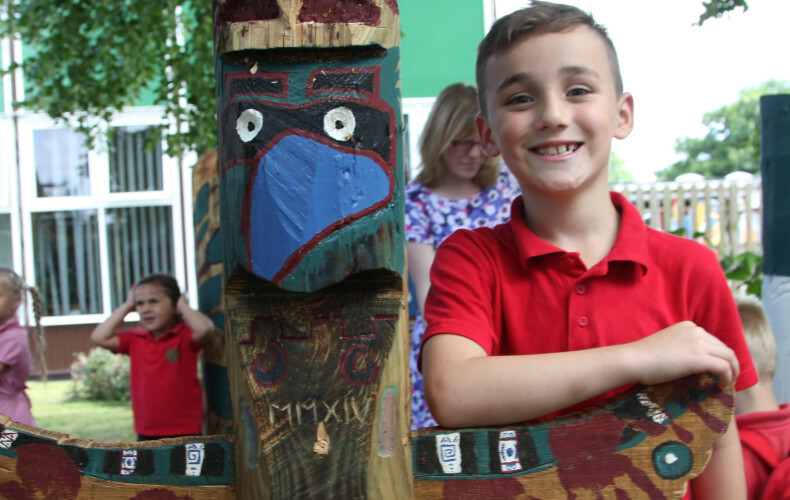 Families created Totem faces of one another before thinking about their Guardian animal Spirit and creating a design to paint onto their totem pole. It sounds delicious especially warmed up and served with custard but you just might break this particular Raspberry Pi if you were to do such a thing. As of September 2014 there will be a new lesson on the school menu targeting the study of computing, in particular coding, for Primary and Secondary schools. 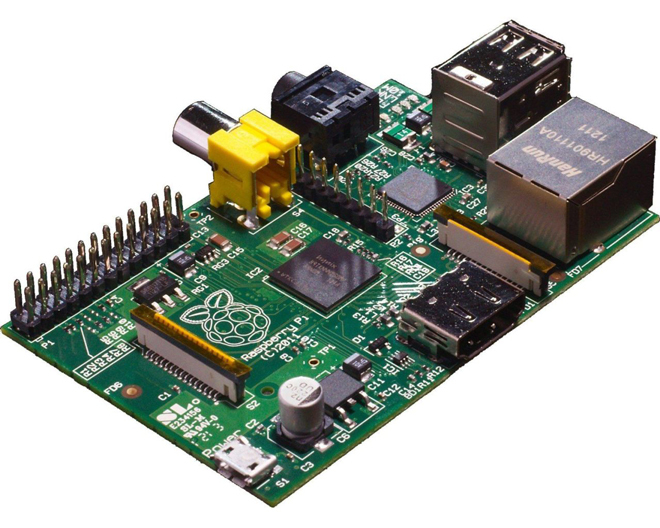 So what is this fruity circuit board known as a Raspberry Pi all about? For starters, the British designed creation retails at around £30 and for the people behind the device their mission was to transform the way children understand and use computers. Since it made an appearance it has been an important part of an ongoing debate that has finally resulted in a new look ICT curriculum for children aged 5 and upwards. True, the Raspberry Pi’s bare board appears very daunting especially to people whose experience with computers stretch as far as typing up a lesson plan on Microsoft Word. 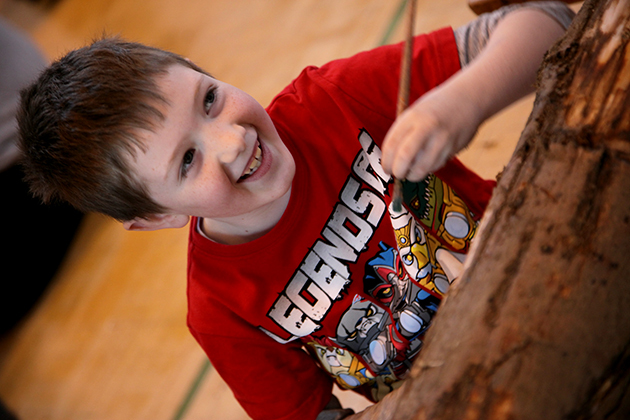 These are the issues facing the introduction of this topic in September; will enough people have the correct type of skills, knowledge of its capabilities and the enthusiasm to deliver fun and interesting lessons? If we look at the numbers involved that’s 16,000 ICT teachers in Secondary schools and over 160,000 Primary School teachers facing a race against time to be prepared for the start of the next academic year. Obviously there is a need for staff development. On the other hand, it seems as though it has already arrived in a selection of schools as videos of what’s possible have started to appear online. Running devices and musical vegetables to name a few (see the video below). Understandably the people behind these videos have highlighted the difficulty of coding at first, after all some people consider coding another language, but that is soon outweighed by the fun of combining hardware or with lines of code and bringing something to life. Preparing for the “Language of the Future” seems to be very much on the agenda as children acquire the skills for jobs that might yet not exist. Perhaps we need to take into consideration the whole Pi and not this small slice aimed at wetting the appetites of our young learners. 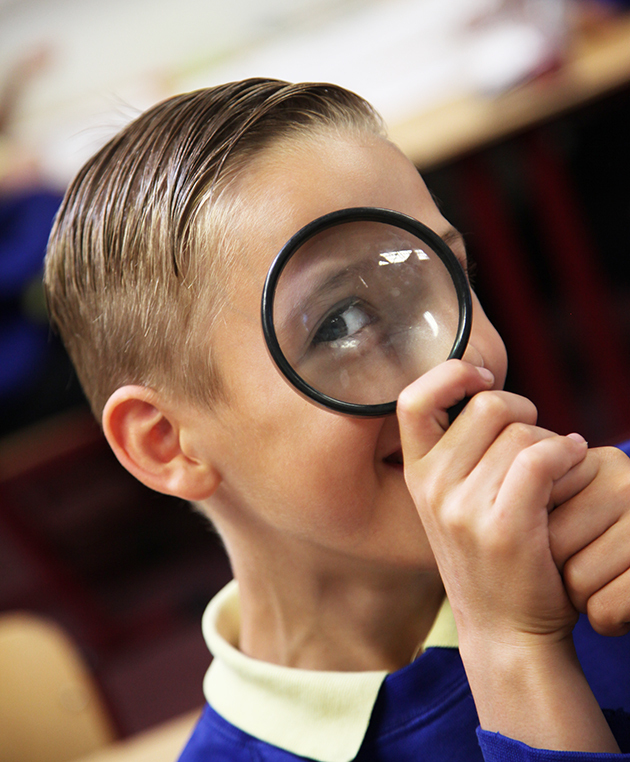 Working alongside our partner schools we aim to develop workshops for all ages that explore the potential of the Raspberry Pi in the classroom. 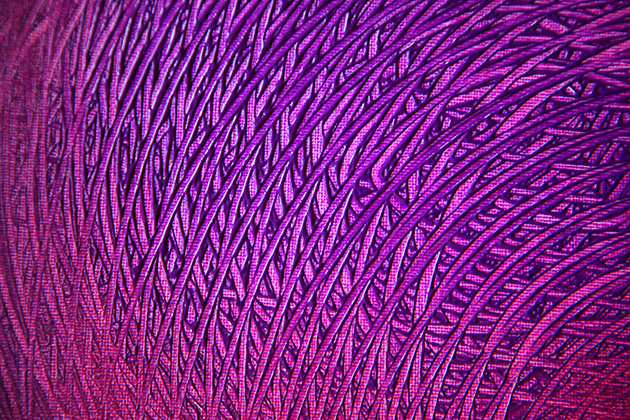 Video courtesy of Scott Garner and you can find more information on the BeetBox by visiting this link. 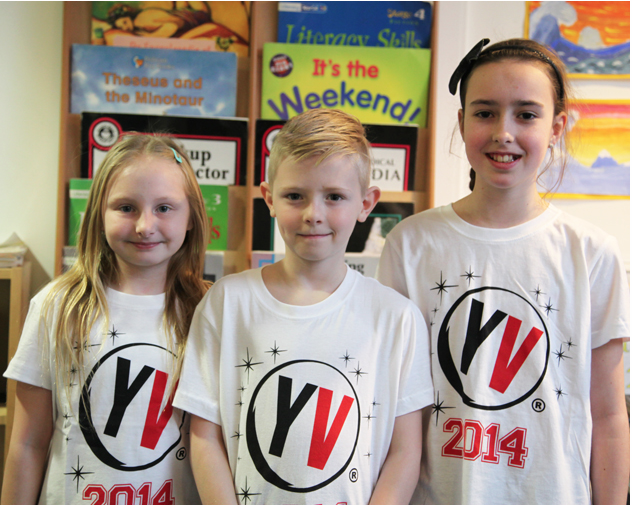 Our friends at Kingsland Primary School and Hurst Hill Primary School enjoyed a visit to Birmingham’s LG Arena this week to participate in Young Voices 2014. 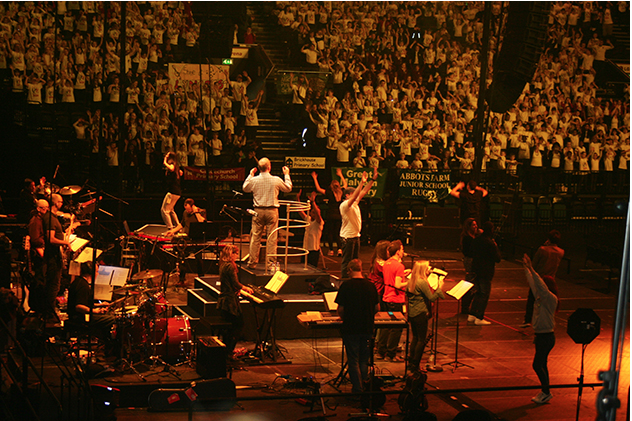 Young Voices is the largest school choir organiser in the world and currently organises over 14 capacity concerts a year, that’s 2,500 schools, 90,000 children, 6,000 teachers and 120,000 family and friends in total! Both school choirs had lots of fun and enjoyed being a part of an event that brings people together to enjoy music and to celebrate singing. 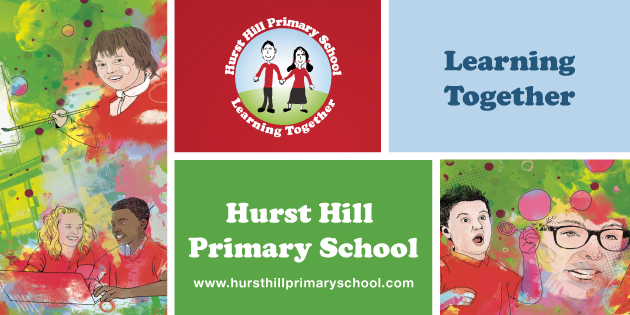 Hurst Hill Primary School proudly displayed their school banner, that we helped to design, for everyone to see at the concert. 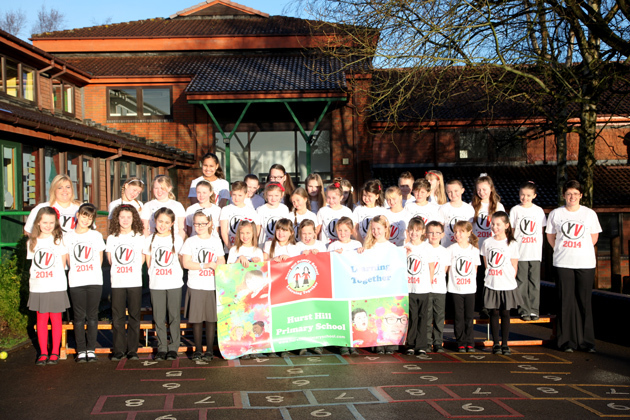 Photos courtesy of Kingsland and Hurst Hill Primary Schools. 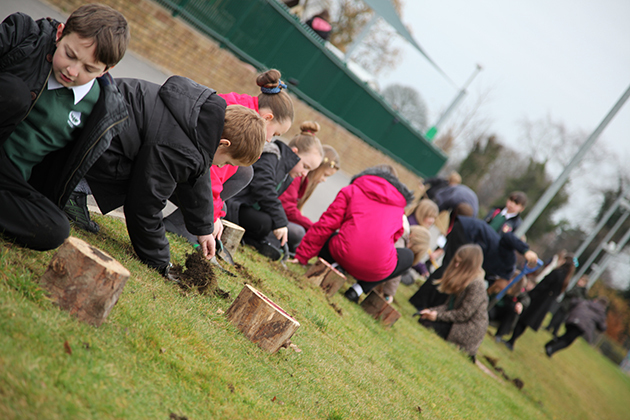 Year 5 Children from Woodlands Primary School have created a wonderful Woodland Walkway. 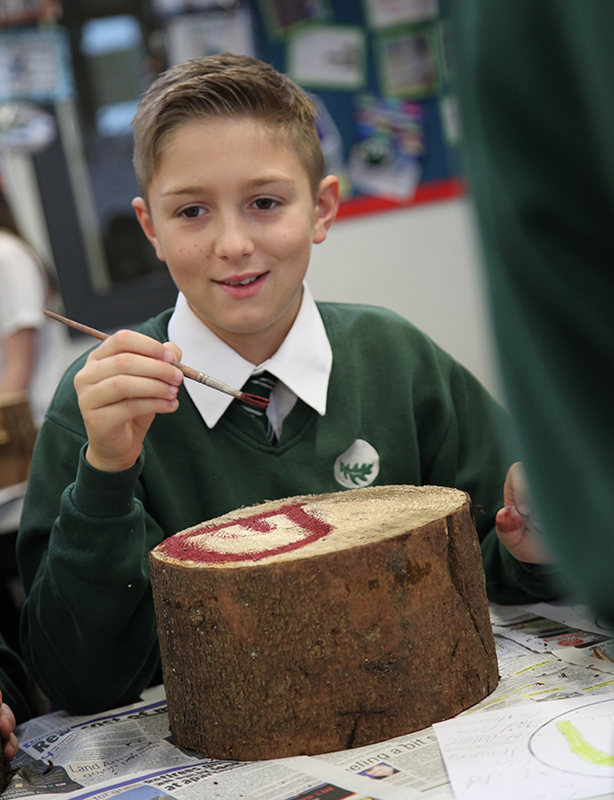 They were set the challenge of designing an artistic symbol inspired by the school surroundings and local history. 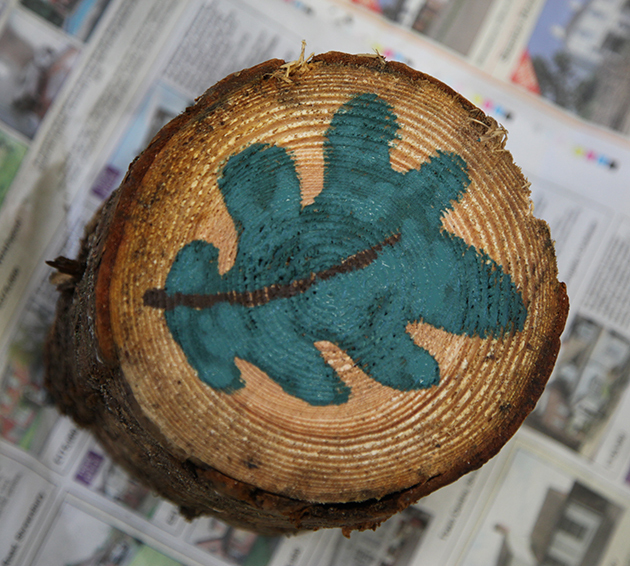 After sketching their initial ideas and deciding on a final design they applied the image to an oak log before later setting it into the ground to act as a way-marker. The walkway links the Eco Lodge to an aspirational sculpture at the rear of the school that was the product of weeks of work in the classroom last year with the then Year 4’s. The class also created The Birthday Wish book and helped inspire the design of the Eco Lodge. 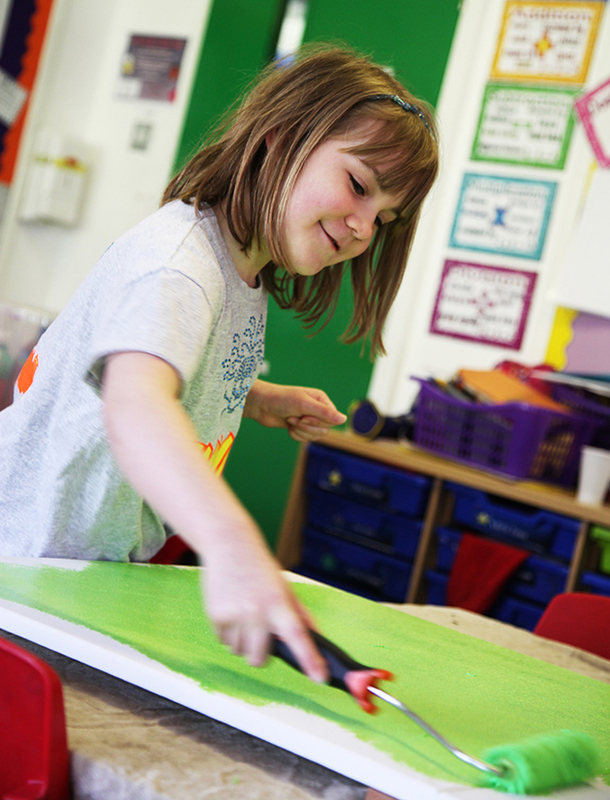 Children, Parents and Grandparents enjoyed a wonderful morning at our Art Workshop held at Hurst Hill Primary School. 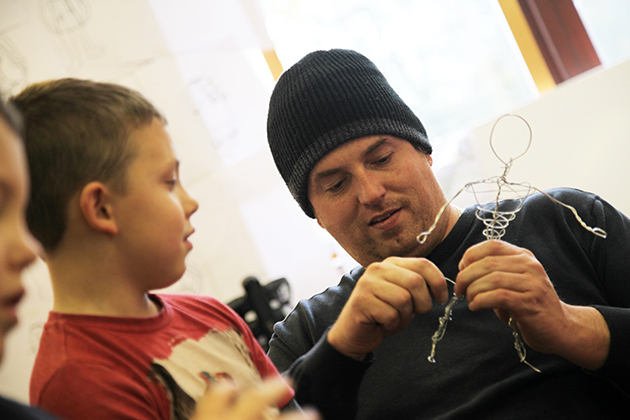 Wire was used to create 3D sculptures of the human form but not before we tried our hand at contour drawing studies of one another. Below is a small selection of the quality of work that was on offer after only 2 hours! Thank you to all who attended and to the school for the lovely handmade biscuits, they certainly helped with the creativity! 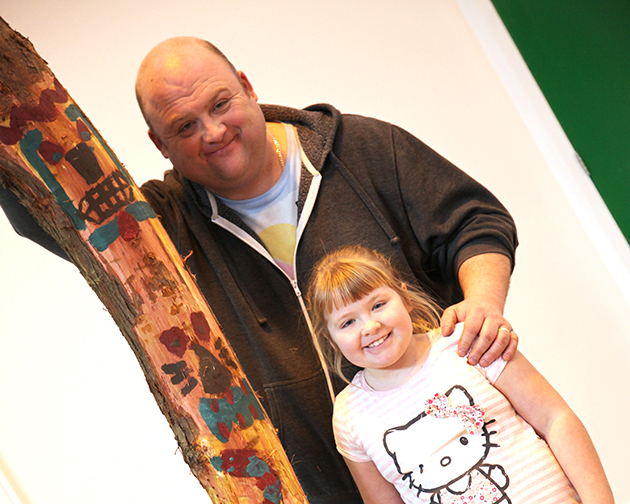 The sculptures are part of a larger scheme of work that has seen families create paintings in the style of Jackson Pollock, Mark Rothko, Picasso and Mondrian. It has transformed the school’s white walls into a vibrant art gallery for everyone to admire and enjoy. We are working on a poetry project inspired by the light of the universe, the light we find inside ourselves and the connection between those two energies. 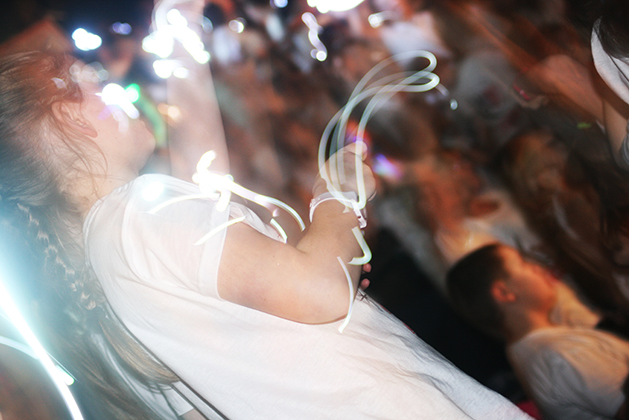 Children have practiced Meditation and Tai Chi to connect with their inner light and then radiate it into the world. A selection of poems will be performed at The Festival of Light to open The Crystal building and the whole collection will be published in early November. Here’s one by a year 5 child to warm you up!